If you’re an operator, your goal is to have an on-trend restaurant with the latest products to keep you there. The specialty food industry has been growing, earning in $140.3 billion last year alone. So how can you decide on products that will keep you trending? Foodable has you covered. We attended the 2018 Summer Fancy Food Show, presented by the Specialty Food Association, a specialty food trade show showcasing the latest innovations in the industry. Here is a quick look at some products you won’t want to miss out on. Starting with the sweetest first, red velvet bombolones. 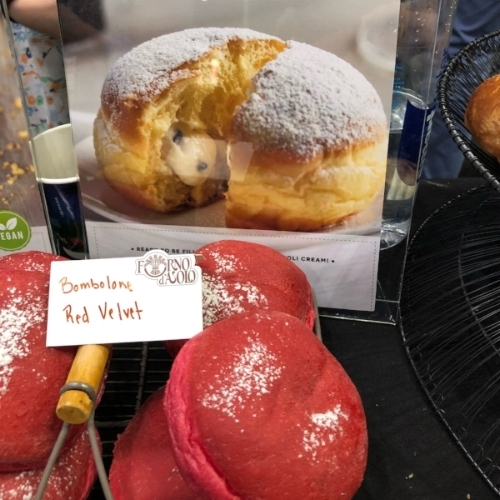 A bombolone is essentially an Italian filled doughnut. The fried round dough is usually filled with something sweet like chocolate, crème patissière, or jam, topped off with icing. What makes this dessert from Forno d’Asolo so special aside from the unique red velvet flavor, is that the bakery is all about tradition. The Italian company uses craft quality ingredients to create sweets that carry on the family name for the past five generations. Forno d’Asolo uses high tech facilities and freshly selected raw materials to produce treats that honor traditional recipes. The company’s mission is to bring these traditional desserts to those who live too far to get authentic fresh baked Italian pastries. This Oregon-based cheddar creamery was founded in 2013 but already has gained national notoriety and award-winning cheeses. Face Rock Creamery specializes in cheddar cheese, so it’s only natural its extra aged cheddar is one feature in your operation. The sharp, buttery cheddar has been aged for two years and won 1st place at the 2015 American Cheese Society Awards in the "BEST Aged Cheddar" category. If that’s not enough to sell you, Face Rock Creamery specializes in making cheese the old fashion way and have a passion for producing the very best. Believing in simple ingredients–milk, cultures, and salt– the creamery doesn’t use anything artificial in its products. Looking for new artisanal beverages to feature in your restaurant? How about Ale-8-One? There’s something special about a company who holds true to its roots. 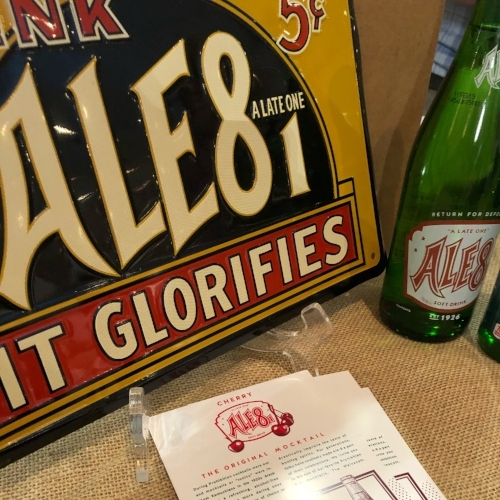 Fun fact: Ale-8-One soft drink company has used the same Ale-8 secret formula from founder George Lee Wainscott’s handwritten notes and his very own specialty blended ginger. The company recently released a new flavor to its roster, cherry. It’s the first new flavor to be introduced since 1926! Staying with the original recipe, the new soft drink has bright notes of cherry with a hint of citrus and ginger. Summer mocktails anyone? 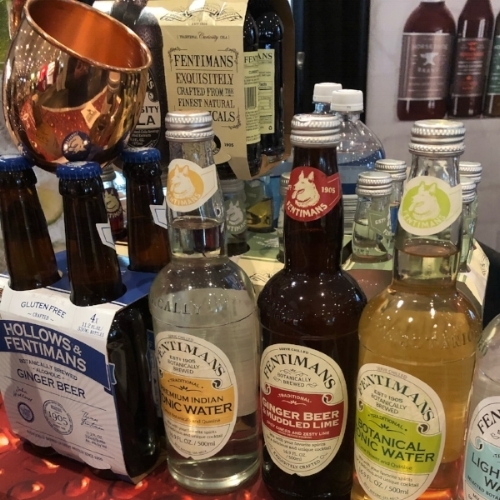 Fentimans is one of America’s most iconic beverage brands, with drinks that are as interesting as how they came to be. In 1905, founder Thomas Fentiman acquired the recipe for botanically brewed ginger beer by a tradesman who needed a loan. The brew recipe was given to Fentiman as security when the loan wasn’t paid, Fentiman began producing his ginger beer. Fast forward to today the company produces artisanal drinks from anywhere to Rose Lemonade, infused with rose oil. To Tonic Water, infused with lemongrass extract, which has landed in the San Francisco Food Hall of Fame. The beverages are brewed for seven days using the time-honored botanical brewing process for the past 100 years. This allows for the beverages to become infused and the fruit used to become fermented. More than just a trend, leading a healthy lifestyle and eating out to a restaurant, is becoming easier for consumers. Knowing this, and offering your customers a healthier alternative that your competition might not have, puts you in the forefront. Try Siete, who caters to those who have adopted a grain-free diet and craves Mexican food and everything else a tortilla has a use for. The company has a strong passion for family, real food, and advocating healthier lifestyles. 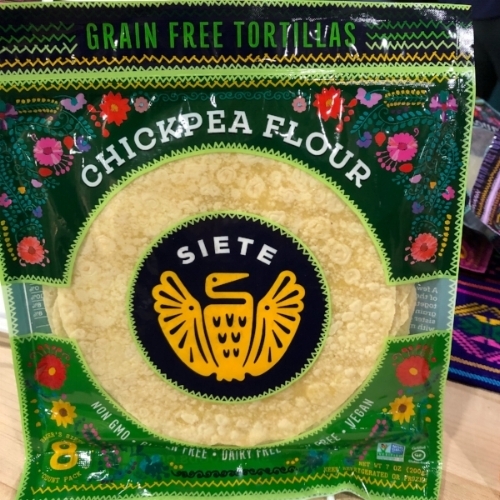 Currently, Siete has three varieties of grain-free tortillas, almond flour, cassava flour, and cassava & chia flour. At the Summer Fancy Foods Show, we got a sneak peek of chickpea flour tortillas coming soon. Looking for more of our favorite products to utilize? Stay tuned for more of our Summer Fancy Food Show coverage later this week!